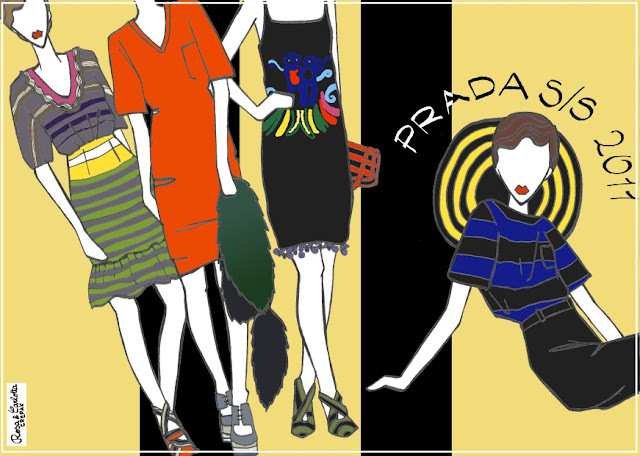 This illustration, as you can probably tell, was inspired by Prada Spring/Summer 2011. According to us, this collection is definitely one of the most distinctive of the season. Horizontal stripes and bold prints and solids are indeed very captivating! Who can resist to cheeky monkeys and optical patterns? Questa illustrazione, come potete intuire, è ispirata a Prada Privamera/Estate 2011. Secondo il nostro parere, questa collezione è sicuramente una di quelle che più si è distinta questa stagione. Le righe orizzontali accostate a stampe e colori intensi sono davvero accattivanti! Sapete resistere a scimmiette dispettose e motivi optical? Hi. I'm a stylist in LA and I'm totally obsessed with your blog. 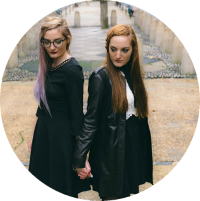 I'd love if you visited my new blog for multiple posts a day on all things fashion. I just moved to California after graduating back in south with a degree in visual merchandiser. 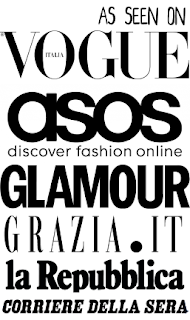 In attempt to get my heel in the door, I've launched a site all about celebrity fashion and the trends that create it. Check out what Vanessa H was wearing when I ran into her last week and find out her go-to fash item and tomorrow's pick for Fash Fave of the week. I'd love the support. I'm following you, I hope you'll do the same. Thanks so much. love the illustration and collection! 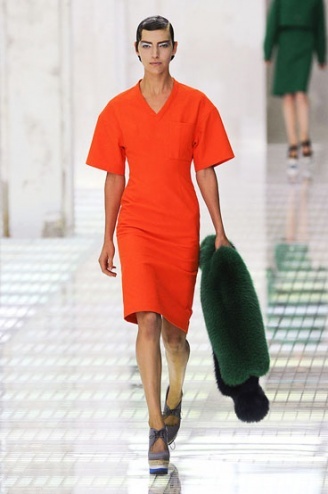 gorgeous collection, I love the color and hair, orange dress is great! The hair is my favorite part! Amazing. x hivennn p.s enter my giveaway? Prada di quest'estate è fantastica, e voi l'avete resa alla perfezione! that illustration is lovely! you're so talented! 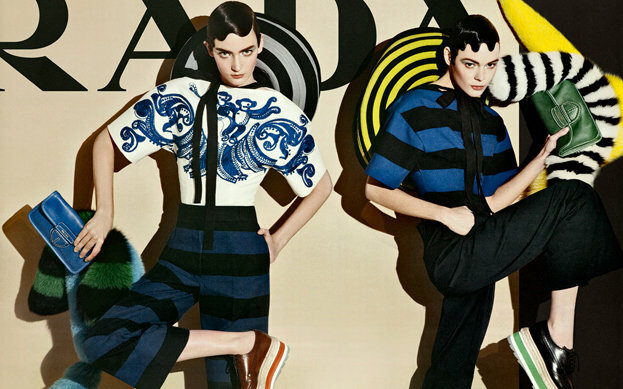 I do love the Prada collection! Have you seen Leomie Anderson modelling the SS11 collection? Thank you for your lovely comment. I'm now following.. please feel free to pop back and see further posts or to follow. Great show and Outfits are perfect! i love these show! The one in the black dress that seems like she´s dancing is just beautiful..!